Malaysia Airlines has signed a new deal with Amadeus technology that will focus on three strategic areas – transforming the airline’s passenger service operations, developing new revenue streams, and revamping the online shopping experience for travellers. Travellers today want to customise how they travel by picking individual services both à la carte or in a bundle that offers tangible value. They also want relevant offers delivered to them that are sensitive to their preferences. Through a new merchandising engine powered by Amadeus technology, Malaysia Airlines will be able to deliver this capability to its travellers across all channels. In addition, new mobile and Internet booking solutions from Amadeus will further improve the online shopping experience for Malaysia Airlines customers. For the traveller, this means an easier and more personalised shopping experience; and for the airline, new revenue opportunities. “Amadeus offers a great web booking experience and state of the art mobile applications to suit individual needs so passengers can look forward to a leaner, more agile experience, from booking tickets to pre-purchasing excess baggage, meals and managing loyalty points, all at the click of a button,” commented Peter Bellew, chief executive, Malaysia Airlines Berhad. Under the agreement, Malaysia Airlines will also adopt the full Amadeus Altéa Passenger Service System to manage and improve all core passenger processes including reservation, inventory and departure control. Altéa is the preferred common IT platform used by airline alliances worldwide, including 64 per cent of oneworld member airlines. With Altéa, Malaysia Airlines will benefit from closer integration with its partner airlines. 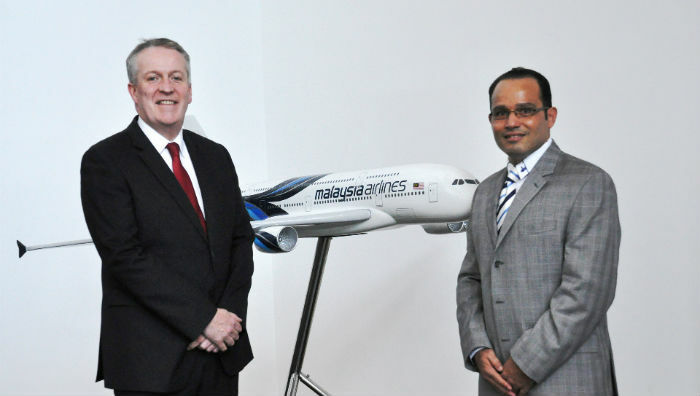 Bellew added: “Technology will play an important role in Malaysia Airlines’ transformation and I am confident that Amadeus and its technology will allow us to streamline our operations and deliver the best service to our customers.